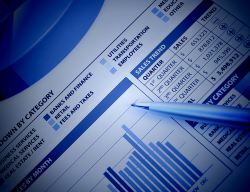 Data collected by the Association of Executive Search Consultants (AESC) indicate a small increase in new executive searches for the first quarter of 2012 but reveal an overall downward trend in revenue both from Q4 2011 to Q1 2012 and over the year (down 6.3 percent and 7 percent, respectively). Most major industry groups reported drops in demand with only the technology and consumer industries showing signs of growth. Regardless, most regions saw a rise in search activity between Q4 2011 and Q1 2012 including a 3 percent rise in North America.